With just 75 individuals in the population, the southern resident orcas are in danger of going extinct. Is it too late? What can we learn from recovering other marine mammal populations, that will help J, K and L pods? Tim Ragen earned a Ph.D. in oceanography from Scripps Institution of Oceanography at the University of California, San Diego, California in 1990. His dissertation focused on field and modeling studies of the northern fur seal. After earning his degree he completed a National Research Council Associateship at the U.S. National Marine Mammal Laboratory, where he continued modeling studies of the northern fur seal. In 1991 he joined the Honolulu Laboratory of the U.S. National Marine Fisheries Service, where he worked in the Hawaiian monk seal recovery program. In 1997 he took a management position as the Steller sea lion recovery coordinator for the Alaska Region, National Marine Fisheries Service. There his work focused primarily on indirect interactions between the endangered Steller sea lion and the Alaska groundfish fisheries. In 2000 he moved to Washington, D.C., to serve as Scientific Program Director for the U.S. Marine Mammal Commission. In 2006 he was appointed the Commissions Executive Director. He retired from that position in June 2013 and currently lives in Anacortes, WA. This event needs volunteers! Sign-up by clicking the button below. Volunteered at this event? Report your hours by clicking the button below. 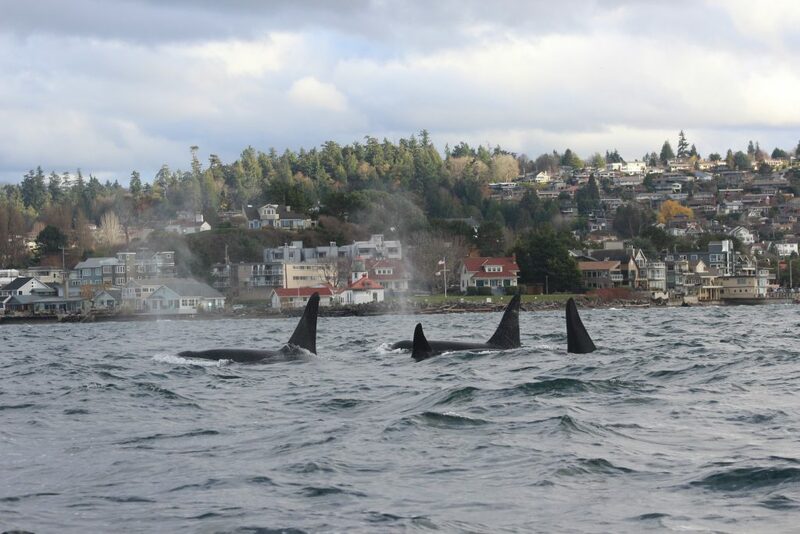 Duwamish Alive Fair and Orca Earth Day →← Welcome the Orcas!